Posted by penbex Message # 1 Posted at May 13, 2011, 10:17 am, subject: What is this SkyTC Radtio/TV device? SkyTC is a Chinese company that created a hand full of internet radio/tv player models and they are selling these under many different brand names on the market. In most cases the hardware is the same. However, firmware from one model can not be loaded onto another model. There are ways around that. The devices are based on Linux but so far SkyTC has failed to supply the GPL code. SkyTC knows they are violating GPL licenses and stated that they will never comply. Also, SkyTC is aware of the many bugs and broken features in the firmware of our devices. They will not support us and will not provide any updates. They only care about new deliveries and new customers. A good example of this "strategy" is the Arnova. If you buy one today you will probably get firmware 1.8.5. If you bought one earlier and have firmware version 1.7 then you are out of luck. So if you are thinking of buying one of their devices and do not want to load alternative firmware, then think again! To get the most out of your device, you should load one of the modified firmwares. After that you will have all the original features and you will be using the radio & tv database from this server. Furthermore, when you register on this site, your 'username' will show up on your device and the stations you have selected as "MyFavorites" will also show up and you have the ability to add and modify database station entries via this website. 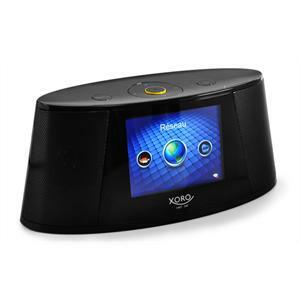 The devices are available with at least two different remote controls (see below) and with different internal flash memory configurations. Right now it seems we have found how the memory size is part of the model number. Posted by penbex Message # 2 Posted at May 19, 2011, 10:32 pm, subject: What is this SkyTC Radtio/TV device? To better differentiate between the small differences in the SkyTC models, I will put (and update when found) hardware details in this thread. If you know of a difference please report in this thread. One of the first differences that is clear is the remote control. The RM00x version number is *not* related to the remote control. Another found difference is between the KMP510.0 and KMP510.2, the .2 has a different flash memory controller. This could mean that firmware for the 510.0 will work on all hardware models, while the 510.2 firmware might not work on 510.0 hardware. I need to check the PCB further to know if there are other differences as well. Anyone wants to open his device and add some info to this thread? The SD card slot would support up to SDHC 32Gb. Posted by dansoftware Message # 3 Posted at June 7, 2011, 7:10 am, subject: What is this SkyTC Radtio/TV device? Many buttons do not work on extended version of a remote control. So there is no big difference between extended and simple versions. Posted by penbex Message # 4 Posted at June 7, 2011, 7:22 am, subject: What is this SkyTC Radtio/TV device? 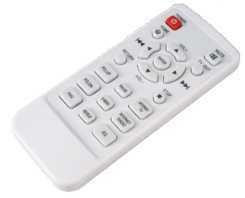 Many buttons do not work on extended version of a remote control. So there is no big differents between extended and simple versions. Yes and no.. you are right in older firmware there are almost no functions assigned to the extra buttons. So yes, in terms of functionality it does not make much difference. Btw, in newer firmwares this should be solved... lets wait and see.. However, in terms of firmware it does make a difference. Since the button "codes" transmitted over infra red appear to be completely different. If you have both remote controls you will see that they can not be mixed. So when making changes to the firmware this has to be kept in mind. Posted by penbex Message # 5 Posted at June 19, 2011, 10:48 am, subject: What is this SkyTC Radtio/TV device? Another difference seems to be related to memory size. The Envivo appears to have 2Gb of internal memory. When hooked to a PC the flash drive has 1.5 Gb. The Disgo TV Go has 2Gb also, anyone has a Disgo TV GO so we can get some details? The Xoro (at least one model) appears to have 512 Mb. When hooked to a PC the flash drive has about 35 Mb. Posted by kwriedel Message # 6 Posted at December 23, 2011, 9:32 am, subject: What is this SkyTC Radtio/TV device? By the way: Small Remote uses same Codes as Xoro HMD900, Rollei DPF8-DVB-T or Jobo 10" DPF, but other keys. Posted by wdobry Message # 7 Posted at December 23, 2011, 11:45 am, subject: What is this SkyTC Radtio/TV device? Posted by benjh Message # 8 Posted at December 27, 2011, 7:10 pm, subject: What is this SkyTC Radtio/TV device? Just for interest, for those in the UK, Argos is selling the Disgo version for £56:99 (was £139, supposedly!!!). There's a free postage deal somewhere as well, so it's quite a bargain. Fairly sure they won't post abroad, so sorry everybody else. Seems like a good value deal. wdobry I have had the same problem with my two Xentas, get 5 screws out, then there's no play in the casing. I suspect there's a catch around the back, but haven't found it. I'd like to... the display on one is getting squiffy, and I need to decide if to send it back or try to repair. Posted by benjh Message # 9 Posted at January 4, 2012, 3:44 pm, subject: What is this SkyTC Radtio/TV device? I had some Argos vouchers left over after Christmas, so bought one of their Disgo machines. Expect the price to go down further (they were briefly on sale for £49:99 in the summer) but they may sell out. Online firmware update reports none available. However Disgo website has firmware update to 1.8.9, via SD card. Updated to this just fine. The Disgo does NOT output YPbPr or CVBS like the Xenta. It's limited to FM Antenna and Headphone from the respective sockets. Whether that's hardware-deficiency (which I suspect), or software-selected, I don't know yet. I will have a go at opening this - and my collection of Xentas - up at some stage. However, at the moment, stress-levels over Christmas have been a little high... Ma seriously ill, my recent surgery became infected, then dog was hit by a car (is recovering ok) ... but that was just the start ... then things really started to go downhill! I will also join in playing with the firmware updates (which look really exciting) but, at the moment, anything that induces stress is being avoided! Posted by slaphead Message # 10 Posted at January 4, 2012, 4:38 pm, subject: What is this SkyTC Radtio/TV device? There's more screws under the rubber feet - took me ages to work that out! Posted by benjh Message # 11 Posted at January 5, 2012, 4:46 pm, subject: What is this SkyTC Radtio/TV device? Posted by fizzy Message # 12 Posted at March 28, 2012, 7:38 pm, subject: What is this SkyTC Radtio/TV device? Does anybody know which databases are used on he original disgo software? I am aware of Shoutcast, but which is 'internet radio'? Posted by penbex Message # 13 Posted at March 28, 2012, 9:05 pm, subject: What is this SkyTC Radtio/TV device? This is the case for the Radio, TV and Shoutcast links! There is no way to influence the contents of this database. So if the manufacturer some day decides to stop with these products they will probably kill the database. We see the same thing happening now with the Penbex devices. Initially I made patches to the original firmware so that our own database was used and we could edit and add streams. Then I found some serious bugs and one of them being the killerbug which is present in all original firmwares. The killerbug randomly corrupts flash memory. As a result one dcay your device will stop working. So I decided to stop releasing the patched firmware versions and just focus on the listenlive firmware. Posted by ChristopherW Message # 14 Posted at April 20, 2012, 7:30 pm, subject: What is this SkyTC Radtio/TV device? I have what appears to be one of these SkyTC devices, bought in Sweden (from Kjell och Company) badged as a Roxcore article number 91808. It came with the large remote control. and the only stimulus I can make it respond to in that state is a five-second press of the power button, which makes it power off. Many thanks in advance for any helpful suggestions. Posted by penbex Message # 15 Posted at April 20, 2012, 9:20 pm, subject: What is this SkyTC Radtio/TV device? This is exactly what I call the killerbug. When I was talking about it with a friend who develops firmware for a big company in Aisa, the first thing he said is "on purpose". Since there are a fair number of bugs that look like mistakes I am not 100% sure if this is on purpose or not. Fact is that the oldest model, the Xenta, had a lot of defectives after the warranty period. For this reason I am no longer hosting any of the original firmware images, the risk of killing the device is too high. Anyway, I can fix it for you.. contact me via mail..
Posted by ChristopherW Message # 16 Posted at April 21, 2012, 12:19 am, subject: What is this SkyTC Radtio/TV device? That's an irresistible offer - many thanks. I have e-mailed you as suggested. Posted by explmag Message # 17 Posted at April 23, 2012, 11:18 am, subject: What is this SkyTC Radtio/TV device? So if the manufacturer some day decides to stop with these products . what happens if you decide one day not to continue with Listenlive.nl ...? Posted by penbex Message # 18 Posted at April 23, 2012, 2:53 pm, subject: What is this SkyTC Radtio/TV device? Anyway, if there would ever come a day that I am forced to stop then I will find someone to take over the server. Posted by STRATIS63 Message # 19 Posted at April 26, 2012, 10:25 pm, subject: What is this SkyTC Radtio/TV device? Posted by M0XDX Message # 20 Posted at April 28, 2012, 6:45 pm, subject: What is this SkyTC Radtio/TV device? Your Disgo is suitable for Listenlive software, mine has been running for a few months. The listenlive takes a long time to install, so be patient! Posted by SandMan Message # 21 Posted at June 29, 2012, 5:52 am, subject: What is this SkyTC Radtio/TV device? Is my model suitable to install the listenlive software? Posted by penbex Message # 22 Posted at June 29, 2012, 8:15 am, subject: What is this SkyTC Radtio/TV device? Posted by jackzou Message # 23 Posted at July 6, 2012, 8:57 am, subject: What is this SkyTC Radtio/TV device? I have just bought Otek 510, found it has V1.7 firmware. I tied to upgrade the firmware from following link but was faild, Does anybody able to advise where can I get the new firmware now? Posted by penbex Message # 24 Posted at July 6, 2012, 10:09 am, subject: What is this SkyTC Radtio/TV device? Loader version 2 and firmware 1.42 are there. If you wait a bit, firmware 1.43 will be available. Posted by jackzou Message # 25 Posted at July 7, 2012, 2:05 am, subject: What is this SkyTC Radtio/TV device? Now I have downloaded 'LLFirmware_loader_v2_for_Rexcore_510.0.1' and 'LLFirm_V1.42_All_models' and all the files have been extracted on to a SDCard. Could you advise what is the actual procedure to upgrade the firmware? I have inserted the SDcard and tried both 'Online' and Internal Memory' of 'Firmware update' under the Setting menu, but was not successful. An error message 'File Error' has received when choosing 'internal memory'? Posted by jackzou Message # 26 Posted at July 10, 2012, 1:03 pm, subject: What is this SkyTC Radtio/TV device? Does anybody know what is the procedure for starting to upgrade the following firmware for a brand new Otek 510 unit (which comes with a firmware V1.7)? I have downloaded 'LLFirmware_loader_v2_for_Rexcore_510.0.1' and 'LLFirm_V1.42_All_models'. Posted by penbex Message # 27 Posted at July 10, 2012, 4:26 pm, subject: What is this SkyTC Radtio/TV device? Posted by jackzou Message # 28 Posted at July 11, 2012, 12:21 pm, subject: What is this SkyTC Radtio/TV device? I have followed the steps 2b from README, but the process seems never be finished after a final 'OK' was pressed. There was a message 'UPDTING NOW .......' and then it disappeared after a short while, the display was just stuck there, nothing was happening until it was switched off / on manualy. The radio goes then back to original. Not sure if the right loader was used. Posted by penbex Message # 29 Posted at July 11, 2012, 3:16 pm, subject: What is this SkyTC Radtio/TV device? That for sure is not the right loader..
Posted by SandMan Message # 30 Posted at July 12, 2012, 3:18 am, subject: What is this SkyTC Radtio/TV device? For my Otek 510 unit I have downloaded 'Llfirmware Loader V2 For Otek Rm001 ' and 'LLFirm_V1.42_All_models'. Posted by jackzou Message # 31 Posted at July 15, 2012, 3:17 am, subject: What is this SkyTC Radtio/TV device? Hi, I have successfully upgrated the firmware using Loader for Otek. Cool! Thank you very much! Posted by tl22bq Message # 32 Posted at July 15, 2012, 5:52 pm, subject: What is this SkyTC Radtio/TV device? ok new here and this is my first post i manage to reflash my roxcore and it's a nice working divice but as Stoffe say this buggy v1.7 got one of my as well but the new one has this nice soft in it now. i used Llfirmware Loader V2 For Rexcore 510.0 and then Llfirm V1.43 All Models thanks fore this. Posted by amstereofan Message # 33 Posted at September 9, 2012, 10:21 pm, subject: What is this SkyTC Radtio/TV device? But I can't seem to download any files as I get a message saying I need to resgister but I I am of course so ?? Posted by penbex Message # 34 Posted at September 9, 2012, 10:30 pm, subject: What is this SkyTC Radtio/TV device? You need to be registered and logged in to download files. If you are logged in and still can not download then check if your system/browser accepts cookies because that is used to keep you logged in. Posted by amstereofan Message # 35 Posted at September 9, 2012, 10:47 pm, subject: What is this SkyTC Radtio/TV device? Posted by amstereofan Message # 36 Posted at September 9, 2012, 11:51 pm, subject: What is this SkyTC Radtio/TV device? Posted by amstereofan Message # 37 Posted at September 10, 2012, 7:15 pm, subject: What is this SkyTC Radtio/TV device? Any help much appreciated plesse ! Posted by penbex Message # 38 Posted at September 10, 2012, 9:17 pm, subject: What is this SkyTC Radtio/TV device? Posted by ChristopherW Message # 39 Posted at October 4, 2012, 3:08 pm, subject: What is this SkyTC Radtio/TV device? Wow! And you did! I've said it already in private correspondence, but let me say it here too. Great job. Thank you very much. Not only does it work again now, but it's about a zillion times more cool with your firmware installed. Posted by brother Message # 40 Posted at November 12, 2012, 3:57 pm, subject: What is this SkyTC Radtio/TV device? found my way here after my Disgo failed to power up today ? no life battery or usb power supply - read the postings about the killer bug - I tried plugging into pc - did not recognise - anything i can do? By sheer fluke i received today a faulty Xenta from ebay (the original idea to keep for spares for disgo-DOH!) - anyway this one is stuck on inerent radio on boot screen so does this one hold more hope than the disgo? Posted by penbex Message # 41 Posted at November 12, 2012, 4:36 pm, subject: What is this SkyTC Radtio/TV device? Posted by brother Message # 42 Posted at November 12, 2012, 4:59 pm, subject: What is this SkyTC Radtio/TV device? Posted by jaykent Message # 43 Posted at February 23, 2013, 4:08 pm, subject: What is this SkyTC Radtio/TV device? Quote: I have a Vistaquest VQ ITR100 model. It is okay but I specifically purchased this to get a SF station KNBR 680 since the AM reception is so poor. Of course, KNBR changed their URL address and this unit cannot pick it up the new address. I have tried updating the firmware from the unit's menu but it returns an error message "Network Error". Vistaquest technical support is no help they do not seem to know or care about how the unit operates. How can I update the firmware from this site (if that is even possible)? Thanking you in advance, Jay. my device seems to have caught the killer bug. Is there a remedy? I heard that some people in the forum did recover their devices...Any help appreciated. Posted by Papson Message # 45 Posted at October 8, 2015, 10:08 am, subject: What is this SkyTC Radtio/TV device? I have some sort of trouble. Posted by y0d4 Message # 46 Posted at September 26, 2018, 9:05 pm, subject: What is this SkyTC Radtio/TV device? hello there, is there technical manual for this device? Posted by penbex Message # 47 Posted at September 27, 2018, 7:32 am, subject: What is this SkyTC Radtio/TV device? No, never seen anything like that. Posted by Rose Message # 48 Posted at October 20, 2018, 10:36 am, subject: What is this SkyTC Radtio/TV device? Hi, just purchased a Otel iptv510 for the folks as their Portuguese radio no longer is supported, only on internet radio. I set up the Wifi no problem but cant get anything to work. I hit Internet Radio, then by region. It says "Getting Data List", but then after few minutes just gives up and states, "Network Connection Error"which is untrue as it has the Wifi signal showing. Ive tried the same on Internet TV, same story. Just googled the net to see if there was any solutions to this issue and came across this site hoping to fix it. If I was to manage to get new firmware loaded, (something I still havent worked out how to do reading through the last 30mins) will this help my situation? Posted by penbex Message # 49 Posted at October 20, 2018, 5:15 pm, subject: What is this SkyTC Radtio/TV device? The server that used to provide station lists to these radios is long gone. The Listenlive firmware is a replacement of the original firmware and makes use of our own server and a few other servers. Besides that, you can modify station links on this website if a station stops working and you know their new stream URL.. The upgrade process is pretty streight forward but in 2 steps. First you go from the original firmware using the regular update process to a new loader..
this new loader then loads the listenlive firmware. Note that the old devices have some issues with the management of the internal flash memory chips. This is know to cause issues over time.. eg. the older a device is the higher the chances are that it one day fails to load the firmare. For the otek it is possible to load a recovery image.. but this is a bit harder to do. It needs to be loaded before it dies.. then you can use the recovery option..
Posted by draawede Message # 50 Posted at January 2, 2019, 1:27 am, subject: What is this SkyTC Radtio/TV device? Is there updated firmware for the Fulljoin NMP001, 2.4" screen, Internet Radio/TV? Posted by penbex Message # 51 Posted at January 2, 2019, 8:08 am, subject: What is this SkyTC Radtio/TV device? No, we only made it for 3.5 and 7 inch models. Posted by draawede Message # 52 Posted at January 6, 2019, 5:38 am, subject: What is this SkyTC Radtio/TV device? Thanks for the reply! Since there is no alternative with Listenlive, do you know what Usernames and Passwords I could try to telnet into my Fulljoin NMP001. I all ready tried and know that root is not the Username.